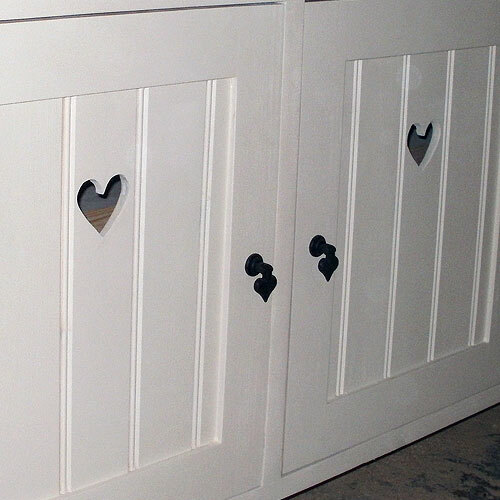 Description: A new range featuring decorative cut out hearts and black valentino door pulls and handles. 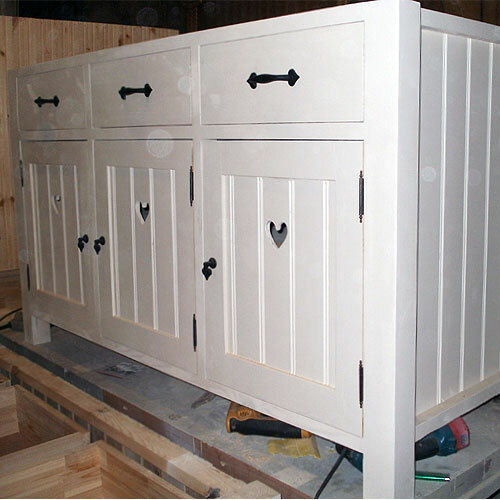 The base unit comprises 3 drawers and 3 doors, with internal shelves in the cupboards. 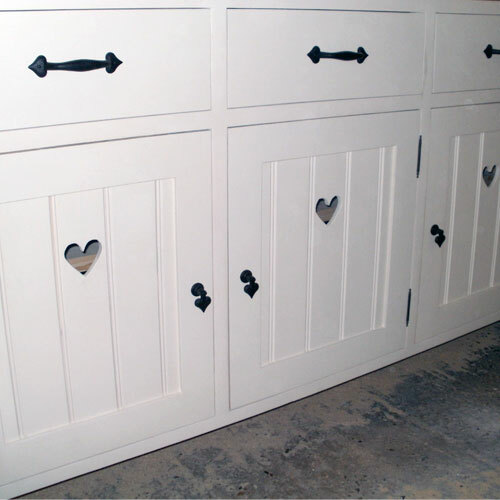 A popular 'twee, country' range! Comes complete with 4cm thick Oak Worktop. Colour shown: Farrow and Ball Pointing.